July is Global Health Month! 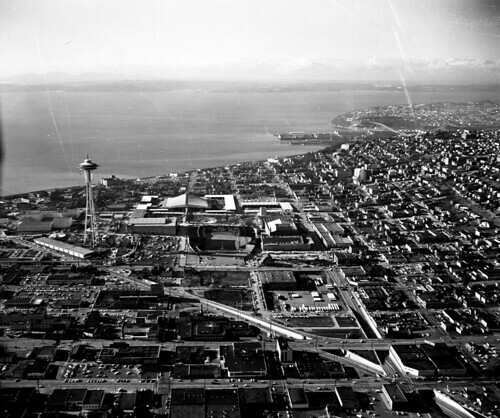 In 1962 Seattle hosted the World Fair at its brand-new and futuristic Seattle Center. It was an event that essentially put the city on the modern map, giving it world-wide recognition. Back in April this now iconic heart of the city started celebrating its 50 year anniversary. As part of its Next 50 festivities, the Seattle Center is running a six month-long celebration, with each month focusing on different areas of regional leadership and development. The month of July is Global Health – and we at Jolkona are very excited about that, as you might expect! Bringing awareness to – and tackling – Global Health issues is something we’re deeply passionate about. So to participate in that celebration we’ll be announcing a new matching campaign. The campaign will kick off on July 9th and run until the end of the month. You heard that right, folks, it is a matching campaign! As always, that means you’ll have the chance to double your impact. The match will apply to any of our Global Health projects. In a nutshell: we’ll double your donation and you’ll see double the proof of impact. So if you’re passionate about Global Health, then get involved. If you know nothing about Global Health, still get involved. If you want to join us in building a new generation of philanthropists, changing the world one drop of water – one person -at a time, then get involved. Sit tight for much more info about the campaign coming soon! You can keep up with us and all that’s going on at Jolkona on Facebook, Twitter, and Pinterest. To bring a little light to the recent June Gloom, we would like to take a moment to recognize Nancy Xu as this month’s featured volunteer. Nancy is a program manager at Microsoft for the Widows Design Studio and first got involved with Jolkona through the giving campaign events we planned at Microsoft in 2010. She has been a volunteer ever since. Over the years, Nancy has worked on several projects for Jolkona, including partner trip coordination and creative storytelling. However, most recently, Nancy has been working tirelessly with two other stellar volunteers: Punit Java, and Pavan Potaraju on building our first Windows phone app called Change by Jolkona – an innovative mobile app that lets you track the progress of a habit you wish to change while making a positive impact in the world through Jolkona’s diverse range of partner projects. Nancy was in charge of the app design and some of the management behind it. The app will be going live shortly so stay tuned! Before working on the design for the Windows mobile app, Nancy volunteered on several video projects for Jolkona, including our most recent production for our Hulu PSA. Prior to that, she also helped produce and direct our Kids Give Back video and our short video Why Give. Nancy is a tremendous example of how young professionals can use their passion and professional skill set to give back. By pursuing her passion of storytelling, over the years she has helped Jolkona tell our story and those of our partners. She embodies what volunteering should be about: aligning your skills and passions to make a positive impact and further an organizationâ€™s mission. “Nancy is a priceless asset to Jolkona. She has boundless passion for Jolkona and we have always been able to count on her to get the job done – and how! She is a big reason for our successful partner visits in East Africa and South America in the last 2 years – it would not have been possible without her! Her significant contribution to our Hulu video, other video editing projects, and the case study (in business club style) she did with the students at Generation Rwanda in December 2010 exemplify her extraordinary ability to take on a challenge and do it well! One of the things Iâ€™ve come to admire and respect most about Nancy over the years is her fastidious organization and supreme ability to execute on projects, which Iâ€™m sure sheâ€™s garnered from her Program Manager position at Microsoft. These skills have been clearly demonstrated on all the Jolkona projects she has volunteered with. Jolkona is remarkably fortunate to have the dedication and support of so many amazing volunteers, and Nancy is no exception. Thank you, Nancy, for being one of our rockstar volunteers and a stalwart advocate for Jolkona. Are you in interested in volunteering? Do you want to use your passions and skills to help build a new generation of philanthropists? Find out more information by emailing us atÂ contact@jolkona.org. You can also keep up with us onÂ Facebook, Twitter, and Pinterest. Goodbye Tin Hut. Hello Jutin! Greenovation Technologies. During our recent trip to Bangladesh we visited Greenovation Technologies â€“ a small social enterprise that was founded by 4 fresh graduates from Dhaka University. An inventor, Dr. Mahbubul Khan, is also involved with the startup. Greenovation Technologies is trying to commercialize one of Dr. Khanâ€™s inventions, called jutin. Jutin is created by combining jute with resin. Alternating layers of jute and resin are placed together. Between each layer or jute and resin a special â€œglueâ€ (invented and patented by Dr. Khan) is added. The more number of layers there are the stronger the final jutin sheet is. The entire stack is than placed outside in the sun and allowed to bake for 20 minutes. The resulting material is called jutin. Greenovation Technolgies team with one of their model homes made from jutin. Jutin is more durable than tin, lasting for almost 20 years. The team expects jutin to be cheaper than tin, once economies of scale is achieved. The team also believes jutin can be a great alternative to other building materials, especially those used for cheap construction. There are millions of families in Bangladesh who live in very weak structures made from low-quality tin or hay. Greenovation Technologies believes that jutin will make a far better alternative for such homes, being cheaper and stronger and hopefully, therefore, far more sustainable. They areÂ passionatelyÂ focused on making that happen. Lack of funding. The team has very little capital. They have taken part in business competitions and have done very well. However, the winnings from these competitions are not enough to offset the full cost of setting up a production service. This issues effects all the other issues below as well. The need to do more research. The team needs to do more research into the long-term effects of jutin. Jutin contains resin (a polymer). The team needs to find out the environmental effects of its long-term presence. Find the quickest way to scale. The team wants to set up a manufacturing plant to create jutin sheets. However, that is a extremely risky undertaking, especially for a team with little capital and no experience in manufacturing. They will be looking at other options like licensing the technology to other existing manufacturers. Greenovation Technologies serves as a great example to all of us that the social entrepreneurship journey is filled with challenges and setbacks. Like other social entrepreneurs, this team has to prove that they have the resilience and the creativity to overcome these problems. Note from the Editor: this post was written by our brilliant Jolkona volunteer, Zanoon Nissar. Iâ€™d travelled through India many times before, and so I felt pretty at ease when I arrived in Bangladesh. Â As we roamed the streets amidst the buzzing rickshaws, overflowing gutters and oily food carts, it felt very much like the childhood trips weâ€™d make to Kerala. This time around, though, I was going to experience this part of the world through very a differentÂ lensÂ than which my upper-middle class background had provided. The Kalyanpur Pora Basti slum is one of Dhakaâ€™s largest, housing over 20,000 people of the 30 million people living under the poverty line in Bangladesh. One of Jolkonaâ€™s earliest partners is Distressed Children and Infants (DCI) – an organization committed to providing basic necessities such as food, shelter and education to disadvantaged children around the world. Romel Nasher, the Executive Director of DCI and his warm staff greeted us at their headquarters, and took us to two of their projects â€“ their free health clinic and their girls orphanage. Our first stop was the DCI health clinic, which offers preventative and curative healthcare including basic immunizations, health check ups for pregnant women, and health education. Although Dhaka has many modern clinics, the poor cannot even access their doors. The existing health support for them is minimal. The health clinic serviced over 3100 patients last year, with a staff of just 6 doctors, 3 social workers and a few staff working 5 days per week. The number of patients this small clinic receives in a day is a real indication of the need for these kinds of facilities in the slums of Dhaka. The clinic was located in a corner of the slum, close to a sea of parked rickshaws (Dhaka is the rickshaw capital of the world, and many slum residents make their living as drivers). As we walked towards the simple concrete building, we were greeted by dozens of children. Some were shy, others were curious about our multi-ethnic group of volunteers, and others were bashfully waiting to take our picture. The smiles and joy emanating from the children – many without shoes and with ribs sticking out of their malnourished bodies – struck me. The children followed us to the doors of the DCI health clinic, a building that is well known in the area since itâ€™s the only free health clinic accessible to the 20,000 residents. One of the staff members showed us an enormous, worn out book that was crammed with names of their patients and vaccination information. Forget about technology or computer access here â€“ this book with rows of handwritten information was the key to patient management. We then had a chance to meet one of the 6 doctors. Dr. Majid, like the other staff doctors, splits his time between a government hospital and the DCI health clinic. When we asked him why he decided to spend time at a slum clinic, he repliedÂ â€œthe people at the hospital say thank you when I help them, but at this clinic in the slums I feel like they are giving me blessings. Thatâ€™s how grateful the people are here for this free clinic.â€ Dr. Majid explained that over 80% of the slum children are malnourished and that the most common types of medicines he administers are for fever, anti-diarrheal and pre-natal shots. In an attempt to help prevent such problem,Â the clinic providesÂ 5 pre-natal care and educational check-ups for mothers prior to birth. Outside the window, we began to hear childrenâ€™s voices and soon a dozen or so were at the window, mischievously peering in at us. We went outside and were immediately surrounded by children, excited to tour their neighborhood with us. We walked through the narrow dirt streetsÂ amongstÂ the noise of rickshaws and motorcycles. Men played caroms, a local game similar to billiards. We got to examine the creative ways in which slum residents made their living – Â through small food stalls of poori and fried goods, and others worked on sewing machines, mending and making clothes for a living. Where were the women residents of the slums, I wondered? It wasnâ€™t until we entered the â€œunitsâ€ that we peered down an extremely narrow pathway filled with rows of homes that we saw them in action.Â The women were busy cooking fish in clay pots outside their homes, tending to children, drying their clothes or watching TV on a small refurbished model. They smiled as we walked through their unit, and one kind young women in a green salvar kameezÂ invited us to see her home. The woman smiled at us and asked us to sit on the bed, which also served as her couch, in this dark, hot room with a small fan blowing in the corner. She lived in this room with her husband, 2 children and also her sister and mom. It was at this moment, as I sat on the bedÂ – Â in this home that was smaller than bedroom back in CaliforniaÂ – that I was truly hit by the magnitude of poverty here. I held back tears as the woman kept thanking us for visiting her in her house — didn’t she know that it was our honor? At the very end of each â€œunitâ€ is a space of 3 toilet rooms that are shared by the residents. Slum residents donâ€™t have access to water in their homes, so water pumping stations throughout the complex are extremely important. We watched as young, muscular boys clambered over each other, laughing and pumpingÂ fresh water into buckets. Itâ€™s essential for the residents to get their water from these pumps rather than the polluted waters that surround the slum. We were happy to learn that DCIâ€™s health clinic also spends time raising awareness about hygiene and sanitation in order to reduce common waterborne diseases in the slum area. My favorite part of the afternoon with DCI and the slum residents was when we got back to the health clinic after our tour. The children had followed us back to the clinic, and right before we re-entered the building, we felt the beginnings of rain. While the group of us volunteers were quick to get inside the building, shrieking and laughter ensued from the kids. As one of the DCI staff explained, it hadnâ€™t rained in the area for over 3 weeks. Our trip had corresponded with some good fortune for the community.Â Though I resisted at first, I soon joined a group of kids in the rain, slipping, sliding, jumping, even shampooing their hair! They played with us without a care in the world. I felt deep moved and inspired by their resilience and courage. What DCI is providing for the children and residents of the slums is basic access to the healthcare, both preventative and curative. As a result of the work of this small, dedicated staff, over 3100 residents have received treatment, 48 pregnant mothers have received prenatal care, and 110 patients were referred to specialized hospitals for support. Iâ€™m so impressed by their work and proud to call them a Jolkona partner. Weâ€™ve launched a campaign to support DCIâ€™s health clinic. Visit ourÂ campaign page for the DCI Health ClinicÂ here to donate and learn more about how you can make a difference by providing medical supplies to Bangladeshi kids. Please keep up with us on our blog, Facebook and Twitter as we share Team Southeast Asiaâ€™s experiences! Glass Half Full: A Cambodian Orphanage. Note from the Editor: This post was written from Cambodia by Jolkona volunteer Krishnaja Gutta. I had been corresponding with Mrs. Kimchheng for a few weeks regarding our visit and have always been greated with excitement and warmth in her notes. When we landed in the Siem Reap airport, I saw a lady holding up the Jolkona sign and I instantly knew that was her. She was truly a picture of affection and warmth, full of life and modesty. The only time in our entire trip when she hesitated was when we asked her about the Cambodian Genocide – her eyes glistened with sadness of the memory before she lightly brushed off the topic . â€œItâ€™s the past,â€ she said. No one would know she was a founding director of this organization even after talking to her for a few minutes. But make no mistake, she is deeply passionate about her work with Komar Rikreay (Happy Children). We drove through the picturesque, postcard worthy country side of Cambodia passing by lush, green rice fields, coconut and banana trees, and small villages. We were welcomed with a delicious Khmer lunch along with the children when we reached the organization. The children around us were bursting with excitement, giggling as they gulped down their meager lunch of rice, vegetables and dried pork in broth. Over lunch we met with the counselor and staff and we talked about the organization and the work they were doing. As we walked around after lunch, we saw the kids running around with make up on, dressed in colorful clothes. We decided to go in and help the children dress-upâ€¦ or so we thought. Really, we were in for a special treat: the children were dressing up to perform for us. What followed was a true pleasure to watch – beautiful children danced, acted and sang for us and we joined the revelry learning some new dances and doing our own dance routine. We then spent time with the kids taking their pictures and making photo frames for them. It was one happy but hot afternoon! Komar Rikreay was founded in 1994 for sheltering orphans and trafficked children. The organization was later extended to house various activities for children in the community who could not afford school, allowing them to play and learn vocational skills like tailoring, make-up, and English. The shelters were built with wood and were very minimally furnished. When the staff said that they were excited because they only recently got electricity, it struck me how basic their needs still are. The children varied from ages of 3-16. Joyous and playful those these children were, almost all came from places of extreme trauma. Some of them were removed from appallingly abusive families, some were rescued from human trafficking , some were orphaned, others abandoned because they were mentally challenged. The counselor told us how the organization tries to help the children recover from their tragic pasts, teaching them their rights, giving them training and life skills so they can venture out in the world and live a life they fully deserve, as well as providing a place of safety for them. Komar Rikreay also helps some of the children to start their own business through micro-financing. We met one such family. Four siblings had come to the organization a few years ago and when the eldest of them wanted to start a hair salon, the organization helped with a loan to rent a place. Now the family is self-dependent and have moved one step further away from their abusive past. It was an incredibly joyful and moving story to hear first hand. Many of the children at theÂ orphanageÂ dream of such a second go at life. A few dollars can go such a long way in helping them achieve that, whether by getting them to school, or purchasing a uniform and other school supplies, or helping the them with loans. We at Jolkona were delighted to witness the fabulous cause the organization is working towards and more importantly how they live life by truly seeing the glass as half full and enjoying everything they have with love – and oh what love! We hope to partner with them soon and help them raise many more children in this safe and protected environment, and we hope you will join with us in doing so. Please keep up with us here on ourÂ blog,Â Facebook andÂ Twitter as we share Team Southeast Asiaâ€™s experiences! Note from the Editor: this post, fresh from Bangladesh, is written by Jolkona volunteer Melinda Moseler. It’s not every day you get to meet someone who is getting a new lease on life having just received a prosthetic leg just a week ago. Meet Pratik. His positive energy is contagious and his story is profoundly humbling. A seemingly simple fall on a bridge turned into an alarming diagnoses of cancer in his leg. After copious of costly visits to India over the course of three years, he was only to be ill informed about treatments and – shockingly – netted out in having to have his leg amputated above the knee. Fortunately, through referrals and a network of doctors, he was put in touch with Dr. Ehsanul Haque, the Medical Officer from BRAC Brace & Limb Center (BLBC). Dr. Haque handled every detail for Pratik, such as arranging travel, accommodation on site while away from home for several weeks, physical therapy, etc. There there took all the appropriate measurements, prepped the molds and the shape casts, built the limb, and fitted it. It’s one of the only facilities of its kind in Bangladesh. Pratik was given a second chance. After all that he had been through his spirit was in a great place. He is looking forward to so much in life now that he has a prosthetic limb and is quickly regaining the ability to walk again. He can’t wait to see his parents and be greeted by his students once returning to his village after his stay at BLBC. We were all deeply touched with his profoundly positive attitude and his ability to overcome something so drastic. I really walked away feeling like I’d learned a lesson in accepting life and its gifts – good with the bad – in whatever form they come. I am forever thankful for getting the opportunity to meet Pratik , Dr. Ehsanul Haque and the rest of the BRAC Brace & Limb Center staff and for being able view the extraordinary work they are doing for the disabled patients in Dhaka. 10% of all patients in need are funded through Jolkona’s Partnership with BLBC. Because of donors like you, patients like Pratik can receive care from BRAC Brace & Limb Center. We’ve launched two campaigns that support projects we’re visiting during our trip. Visit our campaign page for the Brace & Limb Center here to donate and learn more about how you can make a difference by funding up to 4 supporting braces. Please keep up with us on our blog, Facebook and Twitter as we share Team Southeast Asia’s experiences! Also be sure to follow Nadia, Adnan, and Melinda on Twitter as they’re posting some great live updates.